Sometimes it's the simple things that are the sweetest. I found an old image from ADFD called Boy Kitty that I thought would make a sweet little design. I love how toddlers lead with their chubby bellies when they walk. It always makes me smile, as adults that never looks good, but on babies? It’s all cuteness. Something about this little image reminds me of that. He just looks cute with his mussed up hair, snuggling that kitty. It’s coloured up with Copics, a simple sentiment from SU I believe, and then the patterned paper does most of the work to tie it all together (also SU from my stash). A wee bit of pennants, hanging from a corduroy button and twine make it complete. Ah, Christine, this is adorable! 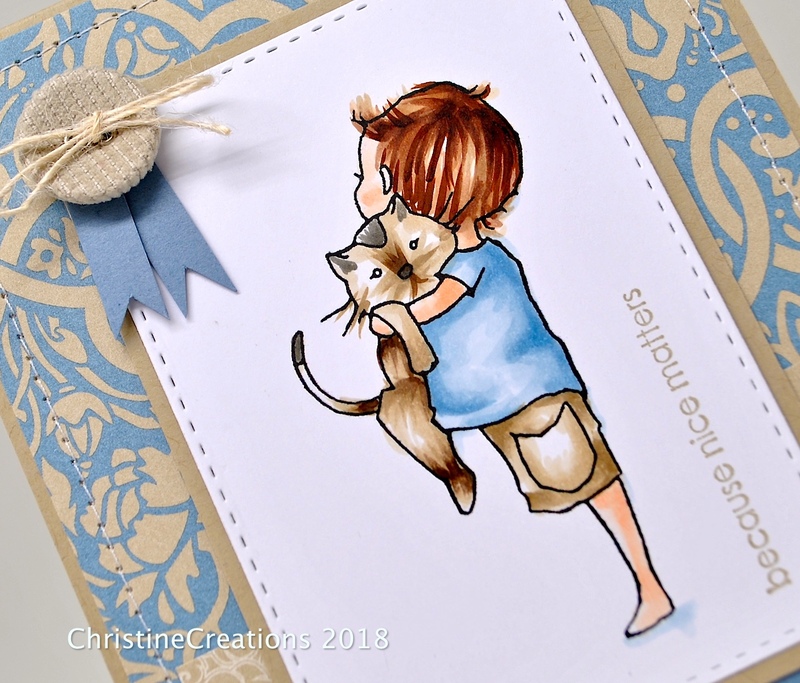 I love this sweet little boy with his kitty, and your layout is darling with sweet coloring! Yes, there is something so dear for a child to hug his/her buddy!! Hugs! 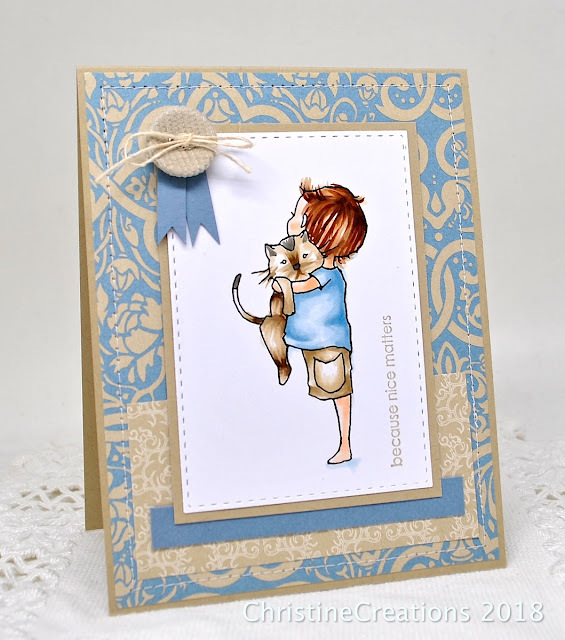 So adorable, great coloring and I love the stitching and the little banners with the button! Pure sweetness, Christine! The sentiment with this has really stolen my heart. I like how you've used paper I never would have imagined with this image. Such a perfect match on the colors and it looks fantastic!